Now is someone’s chance to own one of the most coveted modern-day Porsches. 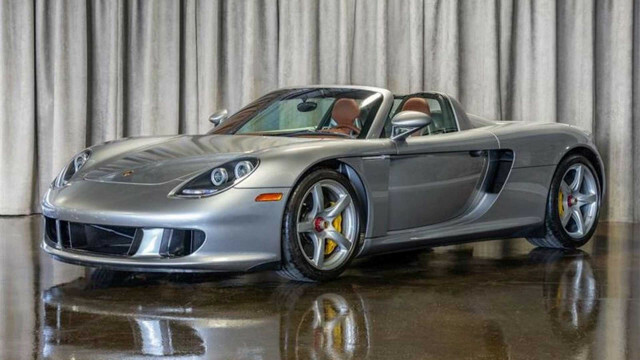 This particular 2005 Carrera GT’s clocked just 69 miles and it’s for sale in France. Despite being over a decade old, the Carrera GT still manages to look rather timeless. Even the interior hardly suffers from a dated vibe. As a refresher: The Carrera GT quickly became Porsche’s halo sports car in the mid-2000s. After it was shown as a concept car at the 2000 Paris Motor Show, high interest led the company to a production run of just 1,270 cars. Production ended in 2007 and each carried a starting price of $448,000 when released. Accounting for inflation, that’s over $600,000 in 2018 money. The price netted buyers a 5.7-liter V-10 engine that not only produced 603 horsepower but also a mesmerizing soundtrack. That’s still a lot of power even by today’s sports car and supercar standards. Of course, the collector market has done more than help boost the car’s value; it’s taken it into the stratosphere. The asking price for this like-new example sits at $1.59 million—more than three times the original starting price. But, we suppose that’s the price one will pay to enter a highly exclusive ownership club. Best WebVR experiences you should try right now!